At the Club’s AGM in February we met at the Village Hall, when Fairways Catering put on a two course meal for the 36 members that attended. It did not seem a year ago that the Club was in the Hall for the 2017 AGM. As usual Fairways did the Club proud and had an enjoyable meal. After the meal came the AGM. The President, Louise Richards, opened the evening with thankyous to all of the Committee for their hard work during the year, and to all the members that have attended and helped when help was needed. The Treasurer Helen, said that the Club had a very successful year financially, the Plant Stall and Cake Stall had helped in a small but significant way, and the Open Evening had been a great success with the help of the Members providing a wonderful buffet which members and visitors were able to enjoy before the Demonstration commenced. Helen went on to say that all of this has helped to make it possible to move on to another year of expectation in the Demonstrators that were booked to come and entertain the Club. 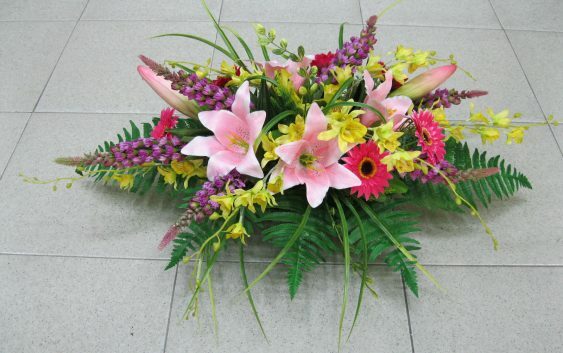 She hoped that all present would encourage friends to come along to see what a good evening out they would get. Pam Hayes, the Chair and Programme Secretary, also thanked the Committee and Members in her report for all their support over the past year and went on to thank June Bird the Vice Chair for all her support to the Club over the past three years she has been on the Committee. June came on to the Committee the year that the Club were having problems and has helped steer us through these times. June was standing down at the end of the evening and coming off of the Committee to just come along and enjoy the evenings. The Chair went on to thank Pam Sole, who has been a hard-working Secretary for many years. When the Club had all the problems Pam stayed loyal to the Club and continued as Secretary when the new Committee took over. Pam even took on the Sales Table when there was nobody to run it, her energy has been tireless, and she will be greatly missed in this position. However, Members were delighted to know that Pam would stay on the Committee in the capacity of Stall Holder so all her expertise will still be there to help. Sue Constable, a very new Member on the Committee has stepped forward to take on the position of Secretary and Sue will make it her own in time. Pam will always be on hand to offer advice and encouragement. Carol Weyman will be stepping up as Vice Chair with a view to taking on the position of Chair in 2019. Sue Kerridge will also step back into the Programme Secretary’s position in 2019. All in all, a very successful 3 years have passed, with the new Committee taking over and rebuilding the Club back to a very healthy position, and long may it last. A full Programme from March 2018 to March 2019 is ahead of the Club, and also 2019/20 is booked, so please come along and join in. The Membership fee has stayed at £30 and Visitors is £5 per evening. For more information please contact Pam Hayes on 01353 860102. 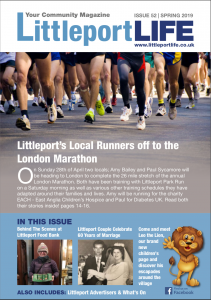 Enter your email address to subscribe to Littleport Life website and receive notifications when new articles are added.